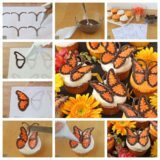 Are you the kind of dinner host or hostess who really goes all out? 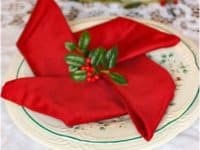 Does your holiday table always feature the utmost in festive decor to the point that your guests are tempted to take pictures of it for their Instagrams? 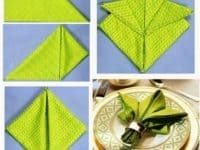 Then you’re probably no stranger to the fun idea of napkin folding. 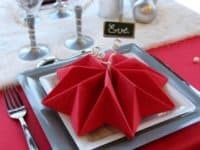 Check out these 15 super cute Christmas themed napkin folding ideas that are perfect for your holiday spread at your family’s Christmas dinner! 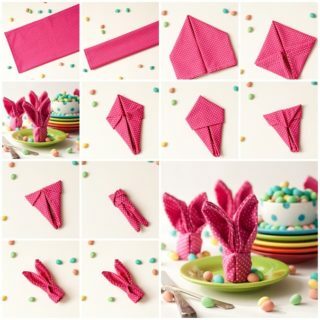 Are your favourite folded napkin designs always the ones that have some fun shape to them? 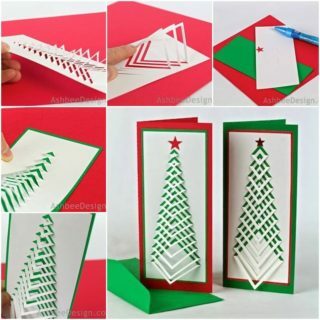 Then we’re pretty sure you’ll love this adorable little standing Christmas tree! 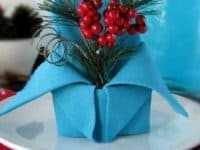 The tutorial from BHG shows you how to make your own napkin tree out of various triangular folds, and even how to top it with a super festive star! Do you love the Christmas tree napkin idea but you did the the standing tree version last year and you want to make sure no one sees the same design you had last year? 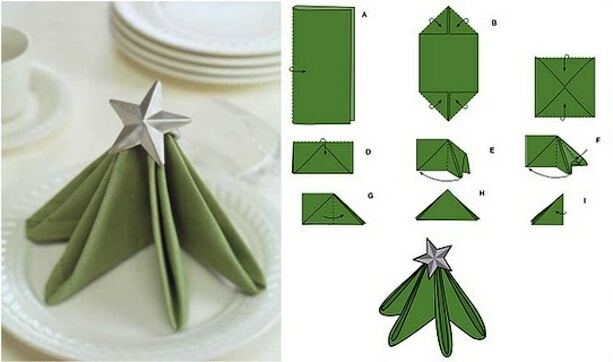 Then try this flat Christmas tree idea instead! We love the accordion folds that Handimania outlines for you and we can’t get enough of the simple ribbon tied in a bow on top. 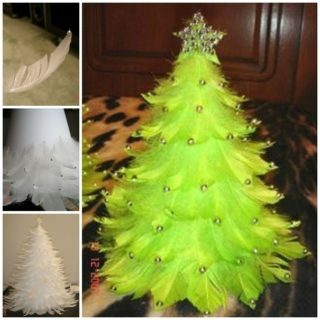 Maybe you don’t mind whether your tree looks realistic so long as it looks festive? 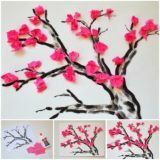 Then you might enjoy this slightly more abstract red and green tree idea by Noile just as much as we do! 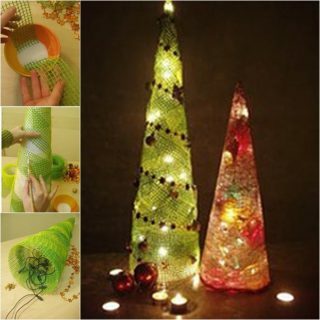 Rather than letting some type of separate “tree topper” steal the show, let the colour changes between the classic Christmas colours take centre stage. 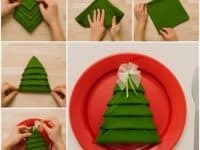 Are you a huge fan of the standing napkin designs but you just feel like making something cuter than your average standing Christmas tree? Then we definitely think you should check out this hilarious little elf’s hat! 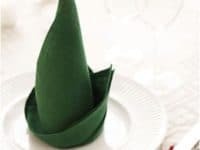 Good Housekeeping guides you through the process of twirling your napkin in a sort of tapered spiral with a cute little bobble on top. 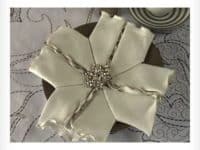 Are you looking for a slightly more classic and adult look that will contribute to a table setting that has a hint of glamour? Then perhaps a Fleur de Lis is a little more on track for the tablescape you had in mind! 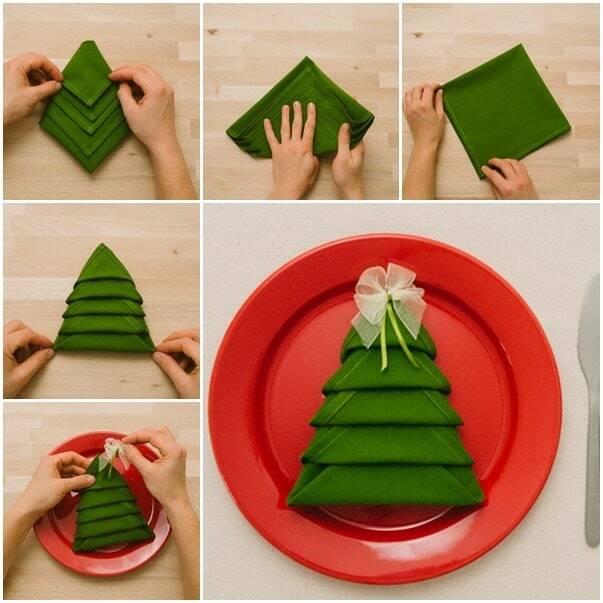 We love the way Delish outlines the different folds and tucks that make this pretty design. 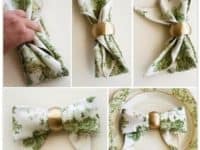 Do you have a lovely set of napkin rings that you wanted to use, but you’re having trouble finding a design that will incorporate them rather than having them hinder some kind of 3D napkin design? 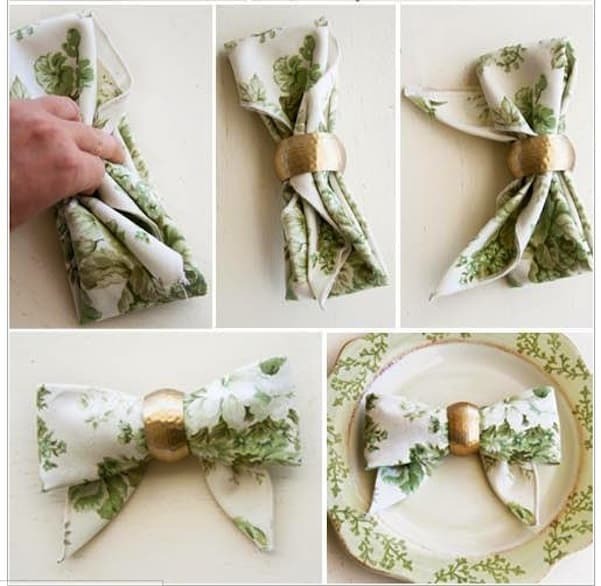 Then you need to see this cute bow idea from Nancy Creative! It uses your pretty napkin rings as the centre wrap so the rest can make the loops and tails. 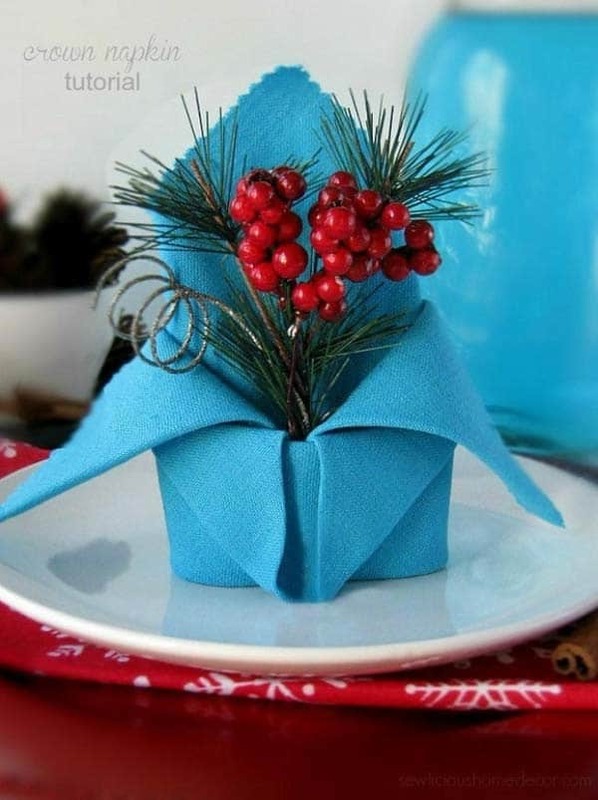 This adorably bright pinwheel design by Beauty and Bedlam looks a little bit like an angular drawing of a poinsettia flower and we’re in love with how it cheers up the table! As if the neat shape wasn’t enough, they’ve put a sprig of holly (you could use fake or real holly) in the centre to really amp up the festivity of the whole look. 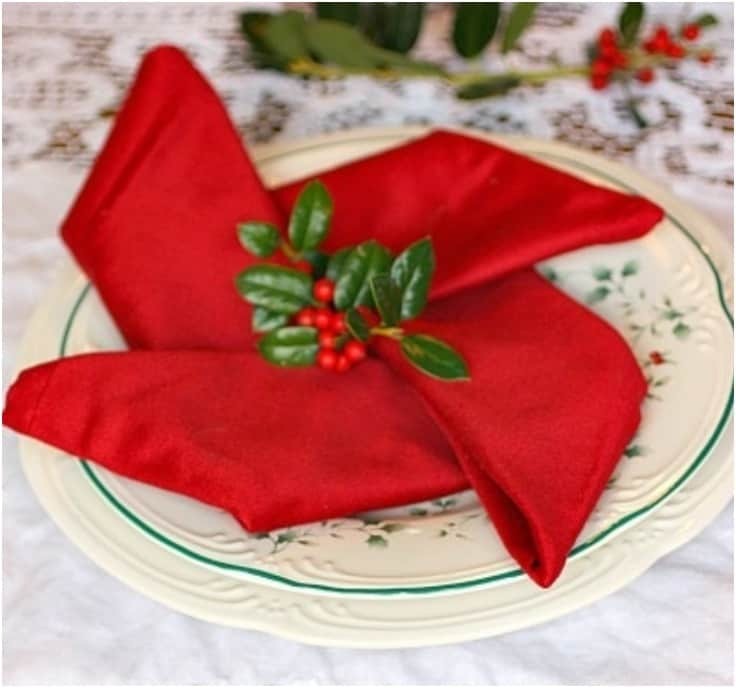 Maybe you’re throwing a very large Christmas dinner and you plan to give each person a paper napkin so that you don’t have piles of laundry to do after dinner is done? 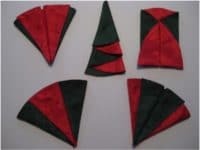 Then you might need a simpler design because not all paper napkins will hold their shape quite as well as your good quality fabric ones. 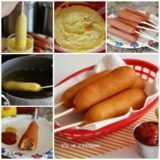 You’ll also want something that’s easy to make if you have lots of people coming! 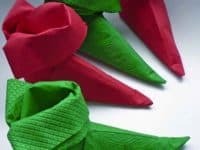 We suggest these hilarious little pointed elf shoes by Love it So Much. 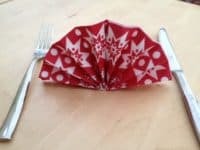 Did you like the look of the abstract poinsettia napkin that featured a holly sprig, but you’d rather a design that looks a little more explicitly like the flower? 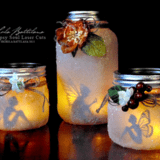 Then try this ridged design from Cuded! 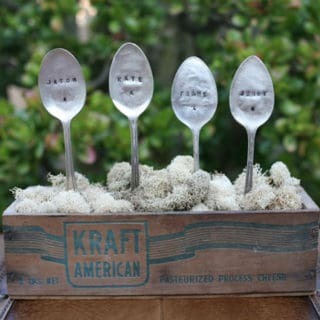 Besides loving the shape, we also adore the way they’ve created a little name tag for the place setting in the centre. If you have many people, it’s great to help everyone find their seat easily without you having to leave the kitchen and tell each person! 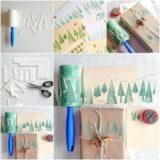 Maybe you’re a little more into the idea of seasonal napkins rather than ones that are explicitly festive but you still want to get creative with them? 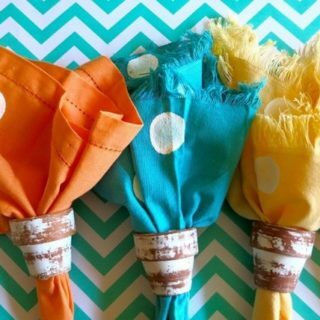 Then Moco-Choco has a great design for you! 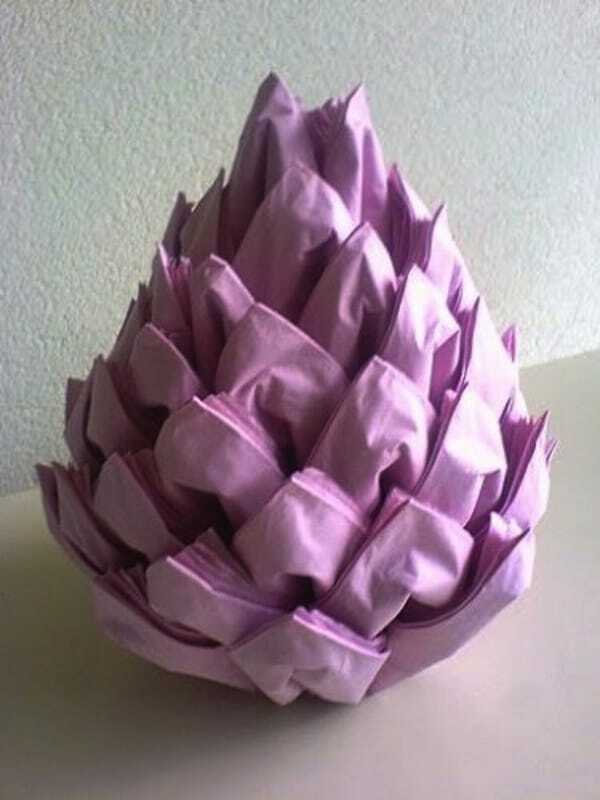 This little napkin pine cone is impressive to look at but surprisingly easy to do for how intricate it looks. 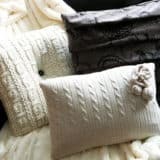 It’s also perfect for tablescapes that are great for the holidays without getting too into the Christmas spirit for the aesthetic of your room. Did you love the idea of incorporating holly so much that now you can’t stop thinking about ways to include other holiday plants too? Well, when we think of Christmas plants, one of the first things we think of is mistletoe! 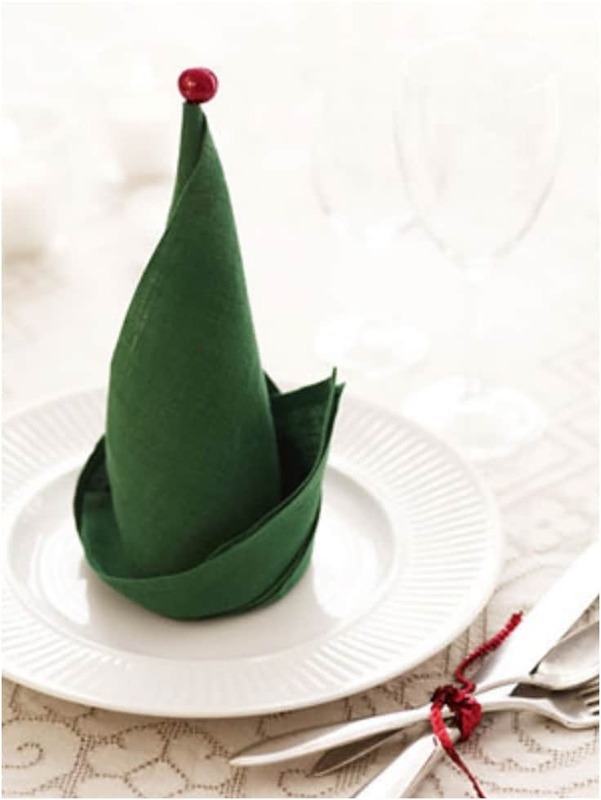 It won’t be very easy (or very comfortable) if you try to hang a sprig of mistletoe above every person’s seat, but Architecture and Design has a great alternative- a napkin folded like a vase for the mistletoe to nestle into! Were you a pretty big fan of the flat folded Christmas tree that looked as though it was tucker its own folds like an accordion, but you were actually hoping to find a design that uses a little more colour? Then we think we might have found the answer for you! 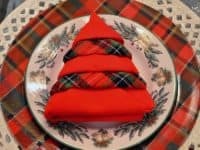 Between Naps on The Porch shows you step by step how to fold a Christmas tree design that alternates between red and plaid. 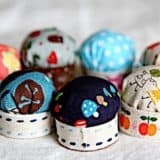 Perhaps these designs are all a little bit fancy for your taste, not because you don’t want to try and make things look nice, but rather because the rest of your tablescape is quite ornate and you don’t want to overdo it? 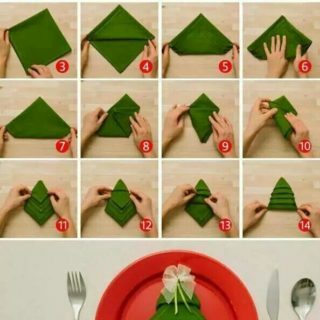 Then consider the classic, simple fan folding pattern that you’ve probably seen in restaurants before! 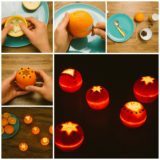 Just because you’ve seen it before, however, doesn’t mean you know how it’s done, so just in case, here’s a simple tutorial from Howtoi. Maybe you’re looking for something with just a little more glamour than what you’ve seen so far? 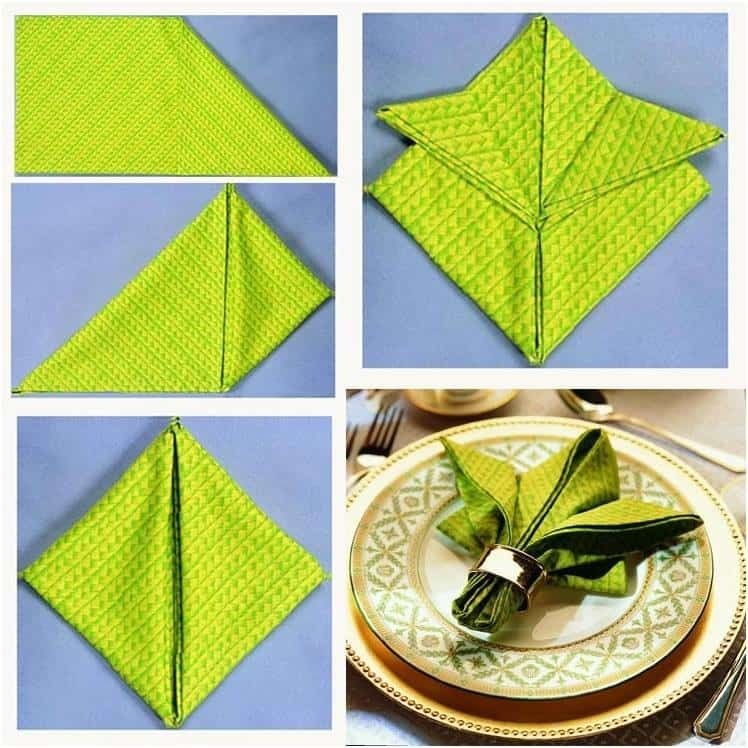 Then napkins with a frilly edge and a rhinestoned centre piece can help you take each place setting you lay down to the next level! 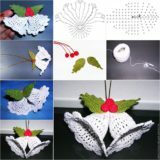 We love the simple snowflake shape that Mum’s Grapevine created to make sure those special features are shown off nicely. Real Christmas crackers are fun for some people, but they’re not great around very little kids or people who are sensitive to noise. 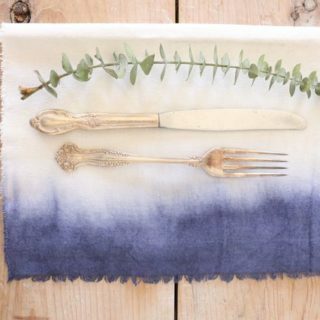 That doesn’t mean, however, that you can’t incorporate them into your dinner table design somehow! 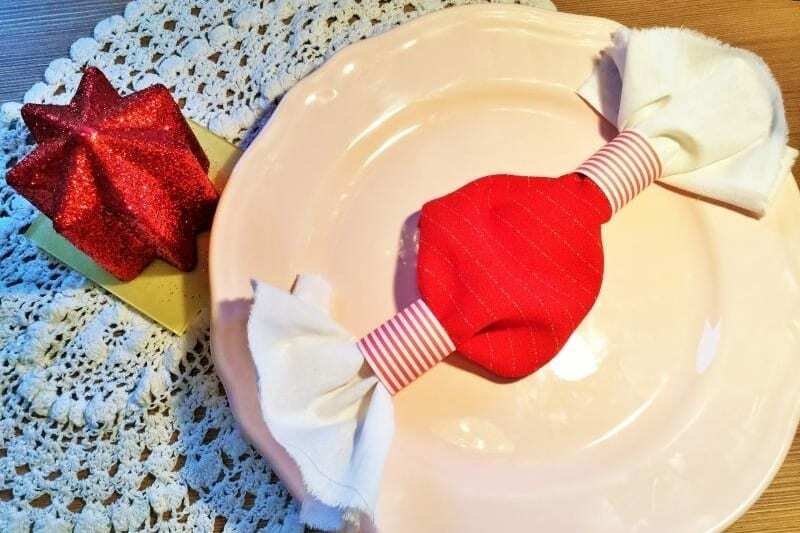 We suggest trying Creative Kitchen‘s idea for wrapping your napkins up like little Christmas crackers and placing one on each person’s plate. 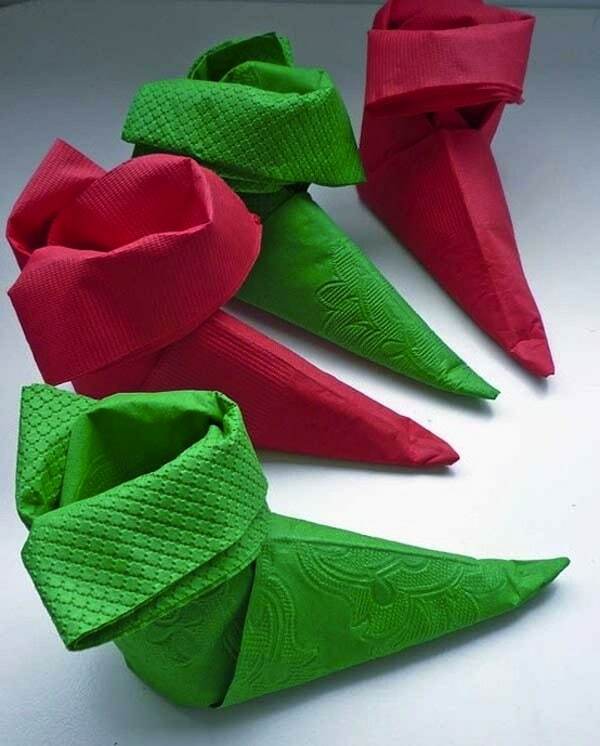 You could even hide a surprise in the centre of each one, just like a real Christmas cracker! 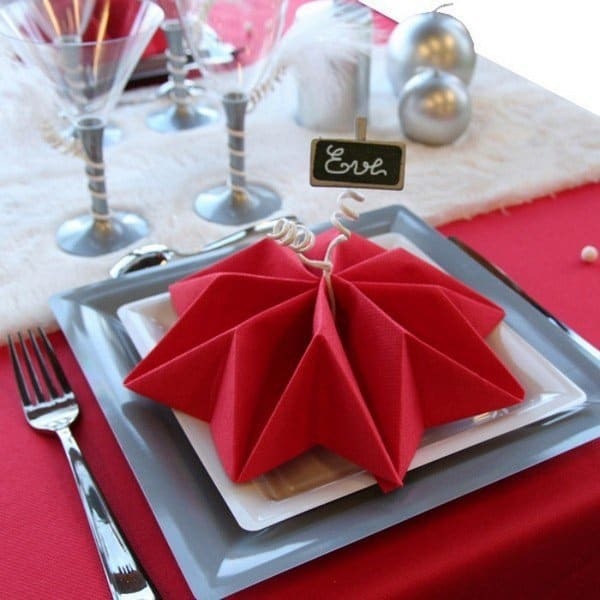 Time to give your Holiday dinner table a stylish face-lift!